Google unveiled its music storage service, aptly called Google Music. For now, the service is like an iTunes web-based version. User can store songs online and access it though the web and phones and tablets running with Android OS. This innovation from Google shows a great potential as a solution to decentralize music collection. And in the coming days, it can adapt a Genius-like feature. Here’s a little problem, Google Music depends on other online music storages for songs. When you use Google Music, you have to download or buy your songs elsewhere. The problem arises after Google and music labels did not come up with deal term that is reasonable and sustainable. 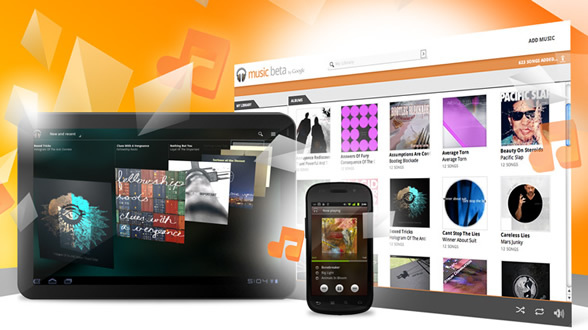 This means people have to wait for a while for a built-in Google Music store.